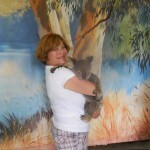 In the land of Oz there are many special things that are magical. No, I’m not talking about a twister or Auntie Em. Nor am I speaking about Toto or little munchkins, or a yellow brick road or a wizard. 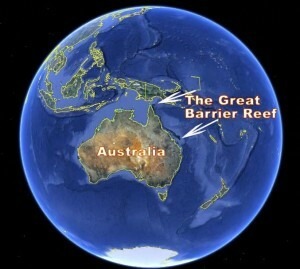 I’m talking about “the land down under”, also known as Australia. 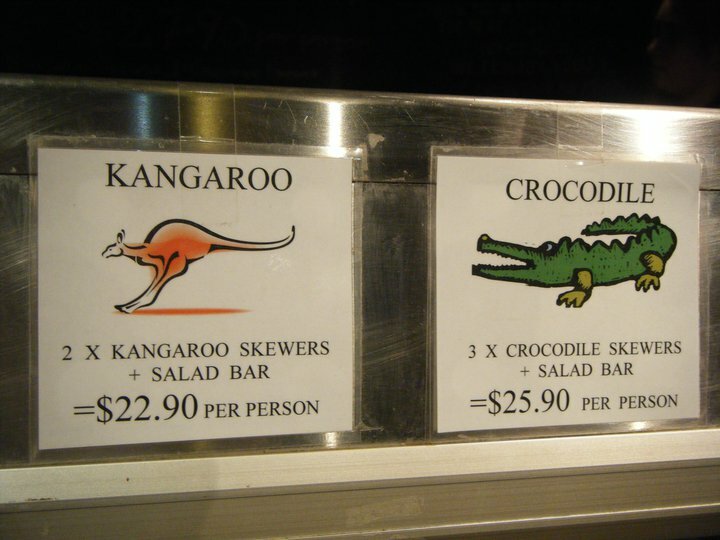 Also known, since Aussies like to shorten so many words, as “Oz”. This is a magical land of a different kind. Magical in the sense that as western as many of the cities are, the diversity of culture and landscape and adventure and people are so unique to the world that one cannot help but feel like they’ve entered a very meaningful place. One day, we’re walking in a paddock among free ranging kangaroos and koalas, The next day we’re hiking among the Olgas rock formation that was created by centuries of the earth settling around it (unlike so many mountains that have been created upwards by thermal activity deep with the earth’s core). Then, we’re trekking through the 100 million year-old Daintree Rainforest and before you know it, we’re snorkeling at The Great Barrier Reef. 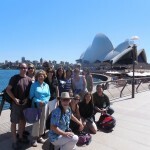 Some went hot air ballooning and camel back riding at sunrise around Ayers Rock, and some went to a performance at the famous Sydney Opera House. 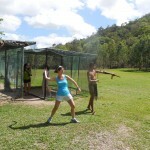 In the morning we’re cuddling a koala and in the afternoon we’re taking boomerang-throwing lessons. 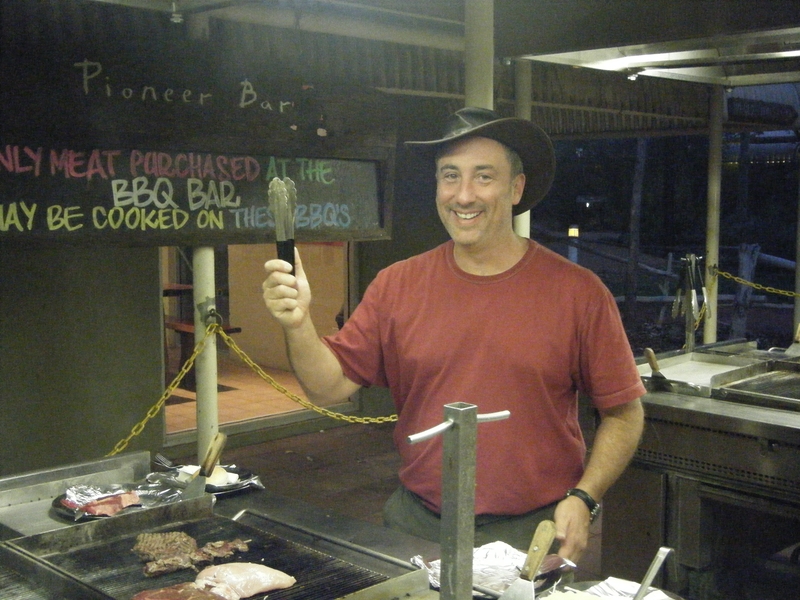 One night we’re eating dinner under a gazillion stars at the Sounds of Silence experience, and the next night we’re cooking out on the barbie with skewers of beef, shrimp, kangaroo and baramundi (local fish). 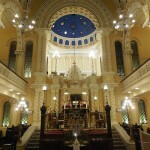 One morning we’re climing a bridge high above Sydney and then that evening we’re praying at The Great Synagogue where the historic relevance of Judaism in Australia captures a deep essence. At times, we’re learning about the culture by an eloquent Aussie-linguist saying words like “Fair Dinkum” (I’m telling the truth), “Owarya” (how are you?) and “fancy a stubby?” (can I buy you a beer? 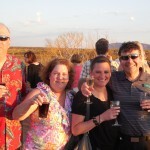 )…and at times we are toasting with AJ Aussies who live where we’re visting and just can’t be hospitable enough for us. 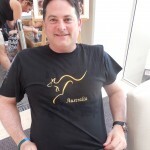 Amazing Journeys’ tour to Oz was just remarkable. We’ve only just returned, but the memories are bound up in our souls forever. 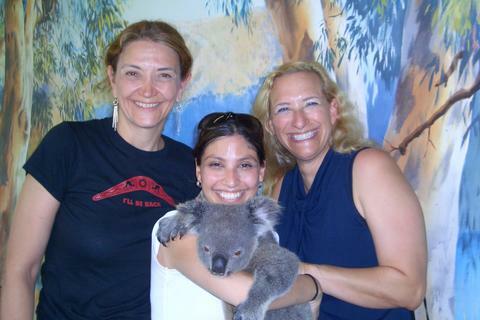 Every day was a “G’day Mate” and we can’t wait to go back! Well, our Australian Down Under Tour is almost over and I’m very sad to see it end. Like a huge meal for the whole family over Thanksgiving, it seems that after months of planning and gearing up, it’s all over in a blink. Still…it’s been a truly “amazing journey” in every sense of the word. Every day was the best day of the trip so far. After I flew to L.A. and met our group leader Bill and all the other travelers, we had the loooooongest journey of the trip so far…but it wasn’t really that bad. We were on Qantas’ new 380 mega jet liner and it was very modern and not too uncomfortable. That is, until we heard a few days later that pieces of our jet fell from the sky over Singapore….soooo, we’ll be flying home on something a bit smaller. On the flight I caught up on a few good books, watched 27 episodes of “How I Met Your Mother”, and even watched us take off and land from the plane’s “wing cam”. 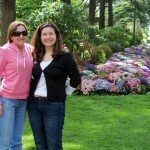 Ambien helped too, and I did my best to sleep like a baby for 6 hours…in the full upright position! When we landed in Melbourne we were met by our Tour Manager Barry and the fun began. I had no idea on that first day just how much fun Barry would be, but his personality and “behind the scenes” organizational skills would ultimately make the trip seem flawless. Thank goodness our rooms were ready, so I freshened up and then headed out for a little exploration before we got to know the group a little better at our formal welcome program and dinner. Then the jetlag kicked in, and bed in the fully downward prone position was a welcome reprieve. Our first tour the next day immediately made the long journey around the world worth every minute it took us to get here. 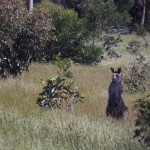 We headed outside of the city to the You Yangs National Park and the Serendip Sanctuary for a little safari of sorts, searching and viewing kangaroos and koalas. I’d dreamt for years for the chance to see kangaroos and koalas in the wild, and just reliving it right now is giving me goose bumps. We walked among them and were sometimes so close that we could almost reach out and touch them. 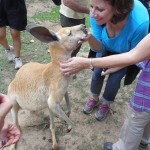 Our outback guide, Janine was so passionate about these creatures and her zeal made the day even more fun and I have to say that this was one of the highlights of the tour. And it was only the first day!! The rest of our time around Melbourne was filled with seeing the city; a bustling cosmopolitan with a buzz for food, history, architecture and a gutsy party atmosphere surrounding The Melbourne Cup horse race that would parallel a week long New Year’s celebration. 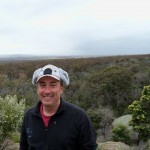 You should have seen these getups–especially the hats! 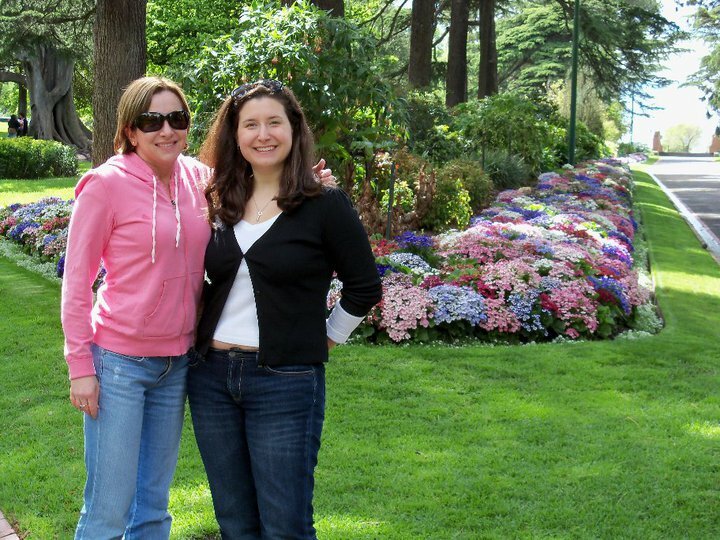 I loved Melbourne and all its energy, but the city soon gave way to more best days of the trip so far. 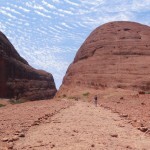 About as big a contrast to the big city as we could get, arriving into Ayers Rock was like a time warp. In a matter of a few hours, we went from a developed metropolis to an ancient monolith surrounded by desert. This was the true Outback. Sure we had to survive some death defying turbulence on the flight over…but we were hundreds, if not thousands of miles away from any modern civilization. Human existence in this part of the world consisted of our small resort town built for tourists and Aboriginal villages that dotted the outback throughout the continent. 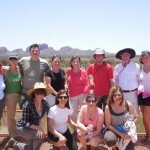 So here we were in the outback. 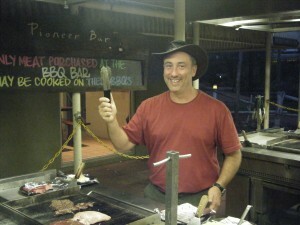 I…was….in…..The Outback! I couldn’t believe it. Our first order of business was a Shabbat Service. Bill somehow managed an Outback Challah and after a short but very meaningful service we hamotzied, kiddushed….and then headed off to what they call The Sounds of Silence. I have to admit that I didn’t know what to expect at this event, but I have to say it was one of the top memories of the entire tour. 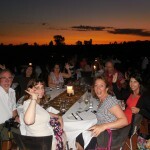 We were taken to a small hillside overlooking Ayers Rock for champagne during sunset…and then led down a path to a small cutout in the desert where a catered setup of tables and food awaited. We were surrounded by nothing but rocks, desert, sand and bush. If it weren’t for the setup of tables and food, I would have felt like I was in the middle of nowhere, never to be found again. As the sun set and darkness loomed, soon only the candles and burners illuminated our place on this part of earth. Oh, and yes, the stars! First I saw ‘em, but didn’t really notice them…until the true meaning of The Sounds of Silence took hold. But, first as with all good Jewish functions….the festive meal! 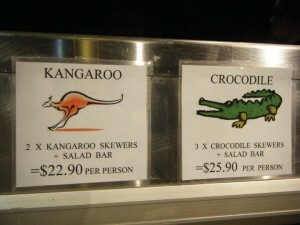 We dined on crocodile, barramundi, kangaroo, lamb, and a variety of other local delicacies. We also inadvertently dined on some of the local flying critters too…who, although uninvited, chose to stay with us for the duration of the evening, despite the cries and screams of protest from a jittery few. 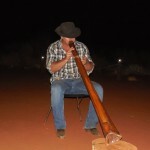 A didgeridoo player harmonized our experience and chit chat among the participants filled the air…until dinner was over and the true sounds of silence took hold. 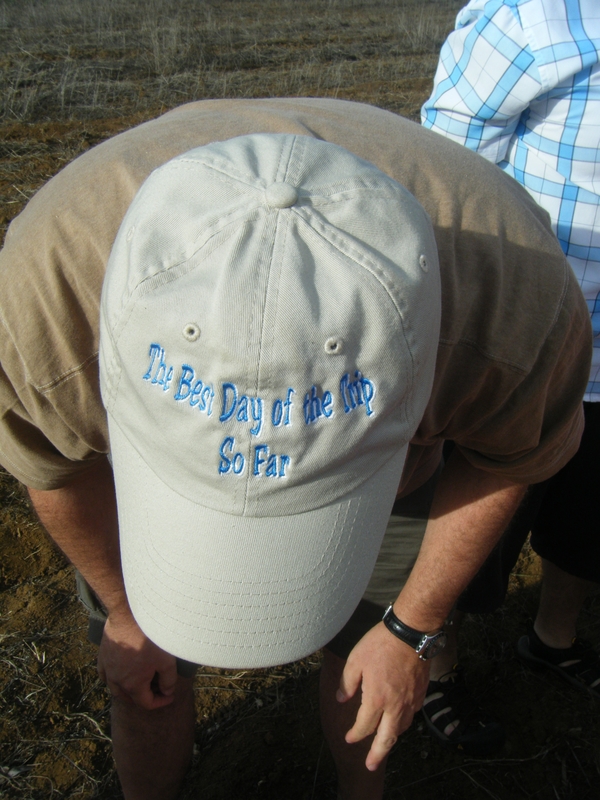 We were given a moment of silence, so to speak, to take in the essence of the outback. Some dude at another table tried to ruin the moment but he didn’t. The lights were turned off and it was so dark that that only the stars in the sky could be seen. Billions and billions of stars…constellations, shooting stars, planets and an endless plane of the universe. Wow, was that special! Then, our gastronomical experience turned into an astronomical experience as we followed an articulate astronomer through a passionate and story-filled tour of the sky. After dessert in the desert, our sounds of silence experience was over, and it was time to look ahead for more fun things to come. 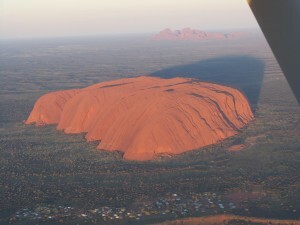 When daylight hit–well, more like BEFORE daylight hit–we headed to the friendly skies for a flight seeing tour over Ayers Rock and the Olgas. We had two of the cutest…and youngest…pilots I’d ever seen.These two dudes learned to fly before they learned to drive, but our lives were in their hands as they were the ONLY 2 flightseeing pilots in Ayers Rock. But they were awesome. Young, fun, cute yet very professional and great guides as we viewed the incredible rock formations from a few thousand feet above. The rest of our time in Ayers Rock was devoted to touring the rock, hiking the Olgas and hanging out at our gorgeous oasis in the desert. 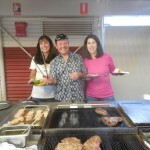 We also had a really fun dinner cooked by Bill and Barry on the “barbie” before calling it a day and heading off to Cairns and the Great Barrier Reef. Our first day in this tropical beach town involved the earliest wakeup day of the trip so far, for an amazing sunrise hot air balloon ride over the plains and small communities of Cairns. 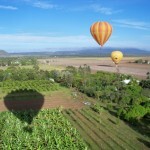 A team of 5 balloons sailed high in the sky which was a sight to behold in and of itself. From our koala balloon we saw mobs of kangaroos, said hello to one of the neighbors from high above her rooftop and even saw our reflection in the river below. 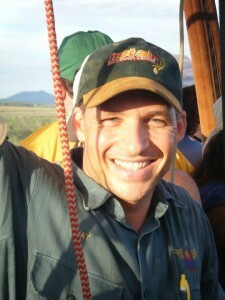 Our pilot Jay was hot…and I’m not just talking about the fire he used to fuel the balloon. 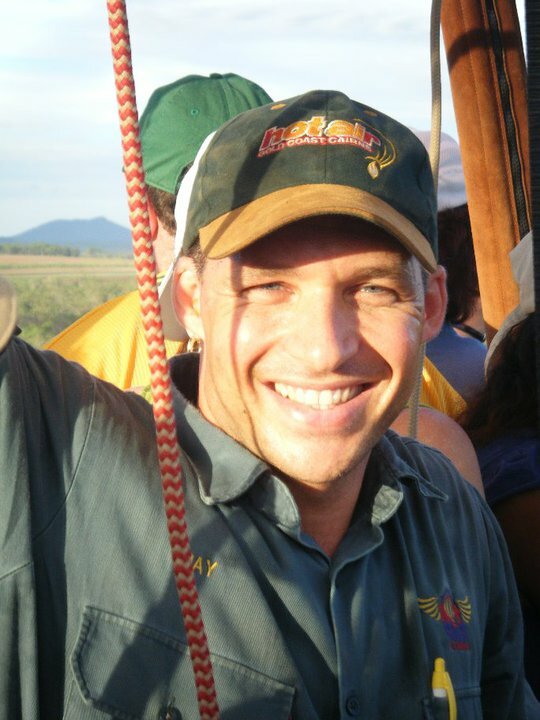 After we came back to earth and helped the crew let all the air out of the balloon we were treated to a champagne breakfast before heading down to the water for our excursion to The Great Barrier Reef. Wow…first kangaroos from the sky, then fish and turtles and coral from under the sea. My new friend Jen and I even saw a shark swim right by us! The lunch on Green Island was NOT the best meal of the trip so far, but the time on the beach, snorkeling in the water and taking in a small part of one of The Seven Natural Wonders of the World made this day befitting to the premise of “living life to the fullest”. Like a great meal, a scrumptious dessert is the perfect compliment to the experience. 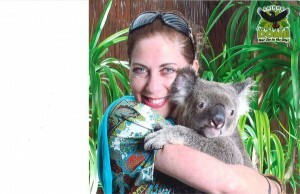 The perfect dessert to this incredible day was given to us upon arrival back on land when we went over to the Cairns Wildlife Nature Dome for the chance to hold a koala in our arms. I only got to hold him for about 30 seconds, but the feeling of his little paws around my arms will stay with me forever. 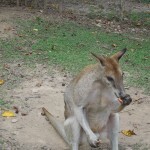 We spent a day in the Daintree Rainforest area where we had the most special opportunity to feed kangaroos and wallabies, hold another koala and see really up close and personal a variety of other indigenous wildlife. 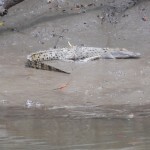 We even took a cruise on the Daintree River where learned about the mangroves, crocodiles and other living creatures that make up this ancient ecosystem. 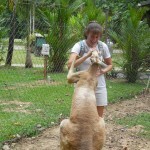 Our final day in Cairns was really fun. First we had a little retail therapy in an artsy village called Kuranda and then we hopped aboard this amazing gondola called the Kuranda Skyrail that took us high above the Kuranda rainforest. This skyrail is the 2nd longest such gondola ride in the world and it was way cool being so high above the treetops. 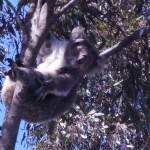 We even saw cockatoos flying below and resting on the tree limbs. 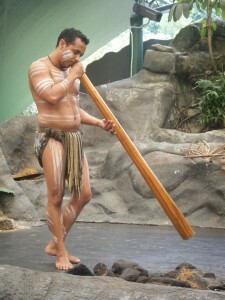 Once we landed, we walked among the Aboriginals. We painted our faces, learned to throw a boomerang, played a didgeridoo and even had a few laughs as Bill and Laura danced like no one was watching on stage with the Aboriginals. A little more retail therapy in the gift shop and it was time to go. Time to go to Sydney! Mom, Dad..while I’ve been expressing my love for each of the elements we shared throughout Australia, nothing could have prepared me for how much I fell in love with the city of Sydney. Bill told us early on that it was his favorite city on earth and now I see why. Magnificent, majestic, eclectic, fun, friendly, romantic, entertaining…the adjectives could go on forever and ever. We toured the Opera House, climbed the Harbour Bridge, strolled Bondi Beach and toured The Great Synagogue. We partied with the locals, met some fascinating people, dined with the most exceptional views and well, yes….shopped just a little bit more. You could plant me on Bondi Beach…or on a chair near the Sydney Harbour….or just leave me wandering aimlessly anywhere in the city, and I’d be a happy boy no matter where or what I was doing in Sydney. My goodness….I loved Melbourne and Ayers Rock and Cairns, but every day in Sydney was the best day of the trip so far. I overheard someone in my group say today, “I’ve never said the word “amazing” so many times in two weeks as I have here in Australia. In all honesty, Mom and Dad, Australia truly is a wonderland of amazing people and amazing things to see and do. It’s now in my memory…but it is forever in my heart and soul. I have met some great new friends, I have seen breathtaking scenery, I have had an adventure like nothing I’ve ever had before…and it truly has been a most amazing journey. I can’t wait to come home and share my pictures with you…and to relive the memories with my new friends who shared this experience with me. 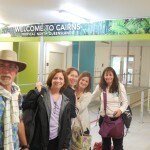 Our Amazing Journ eyers arrived in Melbourne on Tuesday after flying over the international date line. 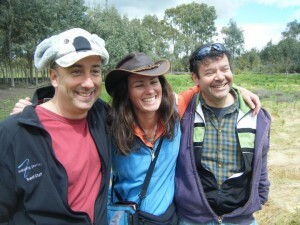 On the first day of our adventure, we enjoyed kangaroos and koalas on a guided ecotour. 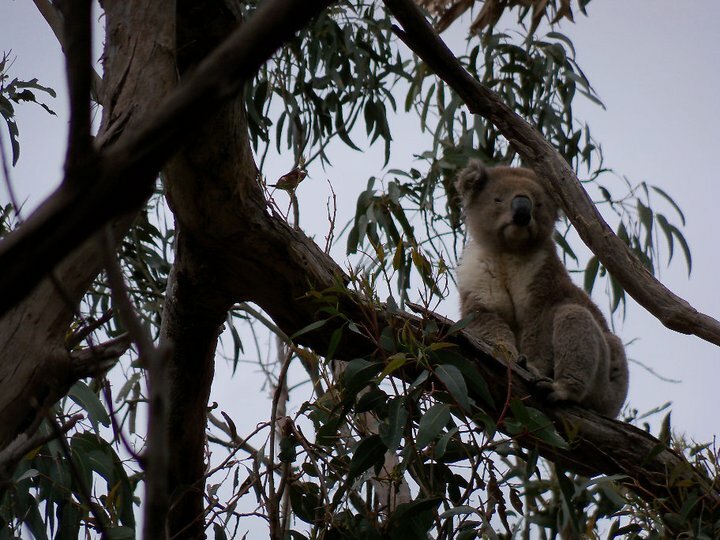 We took an easy walk through the gum trees of the You Yangs Park looking for koalas, wallabies, kangaroos and birds in their natural settings and found them! 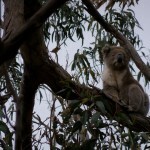 The cute koalas in the tree tops were just as we imagined! 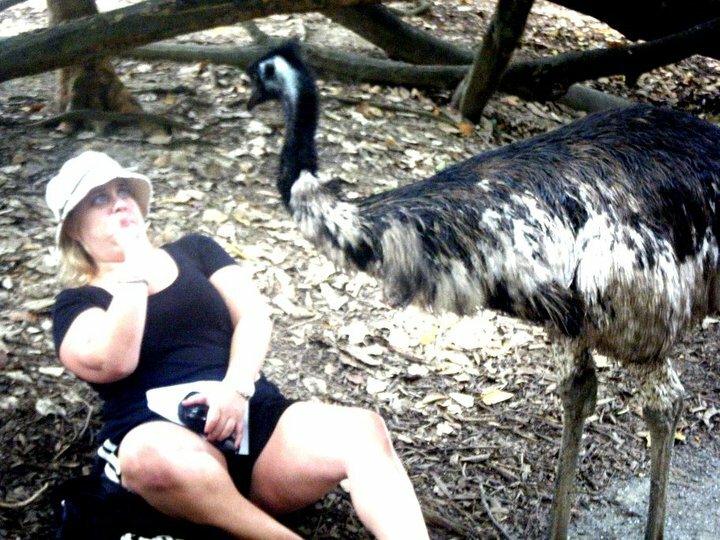 Next, we traveled to the Serendip Open Range Sanctuary, developed by the Victorian government to provide refuge for a large variety of Australian fauna. With our guide, we discovered water birds and dry land birds along with the exclusive viewing of wallabies, kangaroos, emus and other Australian wildlife. 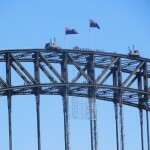 This is what we came to Australia to see! After our “outback lunch”, we took a short walk through the forest alongside a quiet stream. Yesterday, we had the opportunity to explore Melbourne on a city tour, and in the evening, many of us got together with local singles. 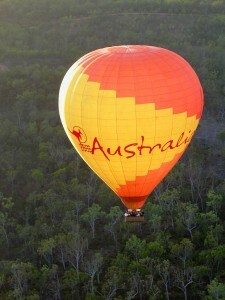 Today we fly to Ayers Rock in the heart of the Australian Outback. 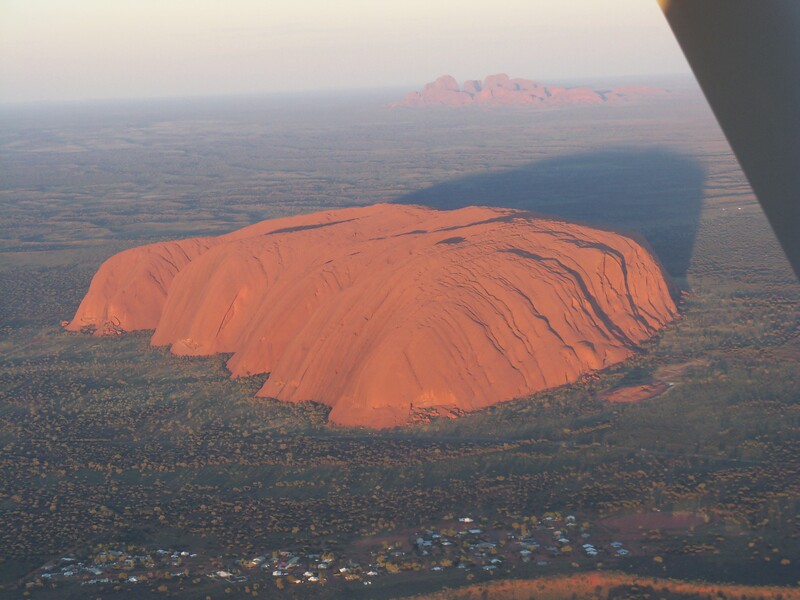 The huge monolith called Ayers Rock and the sandstone domes of the Olgas were created through the process of upheaval and erosion. 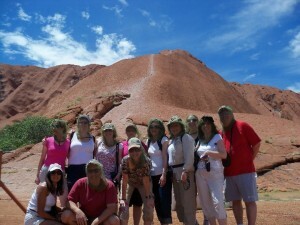 We’ll tour the Olgas and around the base of “the Rock” and have some free time to relax or hike around the Olgas. Tonight, we’ll partake in a Shabbat service with the base of Ayres Rock as the backdrop. Here we will be surrounded by a carpet of bright red ground beneath our feet and only the sounds of our voices to fill the night sky. 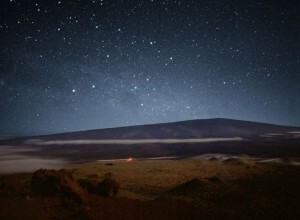 We’ll then have an experience like no other during the “Sounds of Silence” dinner under millions of stars. 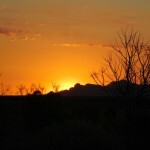 We’ll sip on a glass of champagne with the sound of a lone didgeridoo filling the air as the sun slowly sets over the Olgas (Kata Tjuta) and Ayers Rock (Uluru). 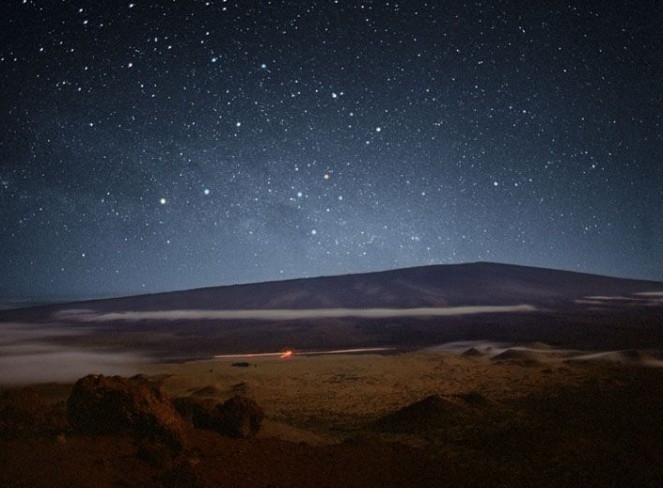 We’ll dine on a gourmet BBQ of Australian delicacies and then sit back and take in the mystery of the desert at night as an astronomer takes us on a tour of the clear Southern night skies. Follow our Amazing Journeyers when we update our adventures on this blog as well as on our Facebook Amazing Journeys Fan Page. 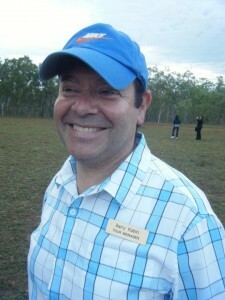 AJ heads off to the land of OZ. With koalas, kangaroos, boomerangs and a few “G’day Mate”s leading the way, our group departs this weekend for 2 weeks to Australia. And then, for many, another week follows to the land of kiwis, adventure and spectacular landscapes throughout New Zealand. Soon, we’ll be snorkeling at The Great Barrier Reef, climbing The Sydney Harbour Bridge, tour The Sydney Opera House, safari-ing in the saavannah with ‘roos, emus and koalas, and exploring Ayres Rock in the true Outback. 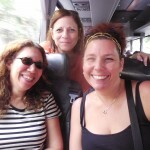 Its trips like this that give true meaning to the words “amazing journey”. 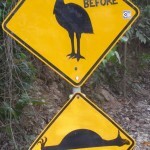 Kangaroos, Koalas and Emus…Oh My! Over 50 exhausted but totally thrilled Amazing Journeyers just returned home after a memorable and just plain “billabong” awesome tour to the Land Down Under. 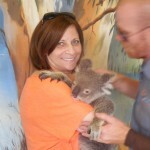 For 15 days (for some, it was 18 days with the added land tour to Cairns and The Great Barrier Reef) we cooed at Koalas, went face-to-face with kangaroos in the wild, went wine tasting, penguin viewing, pub crawling, sheep herding, and trainspotting on one of the most beautiful train rides in the world. 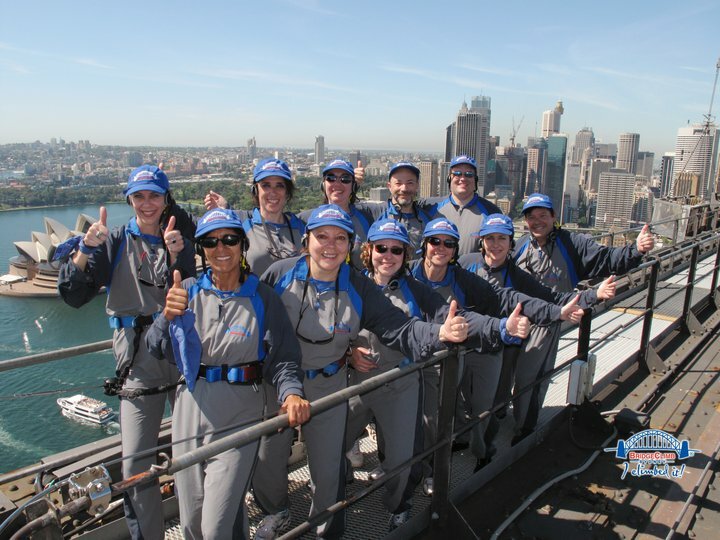 We climbed the Sydney Bridge and toured the Sydney Opera House, inside and out…and partied at a truly remarkable New Years Eve celebration aboard our cruise ship, Celebrity Millenium. There we danced under the stars, chugged champagne, and watched fireworks over the skyline of Melbourne, while exchanging hugs and kisses at the first stroke of midnight in 2009 throughout all of planet earth. Thanks to those who joined us for some true on-the-barbie fun over New Years.